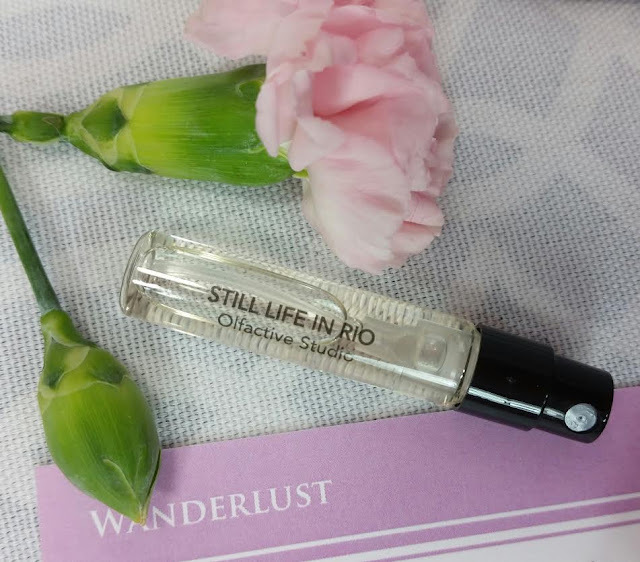 Still Life in Rio by Olfactive Studio- Described as an homage to Rio de Janeiro this fragrance has notes of yuzu, ginger, mint, lemon, mandarin, hot peppers, coconut water, Brazilian copaiba, white leather and rum. It starts off wonderfully and softly citrus which was not what I was expecting from it from smelling it in it's bottle. It smells so delicious and refreshing, I want to keep it under my nose. I also loved the peppery mint middle notes and the rummy dry down. 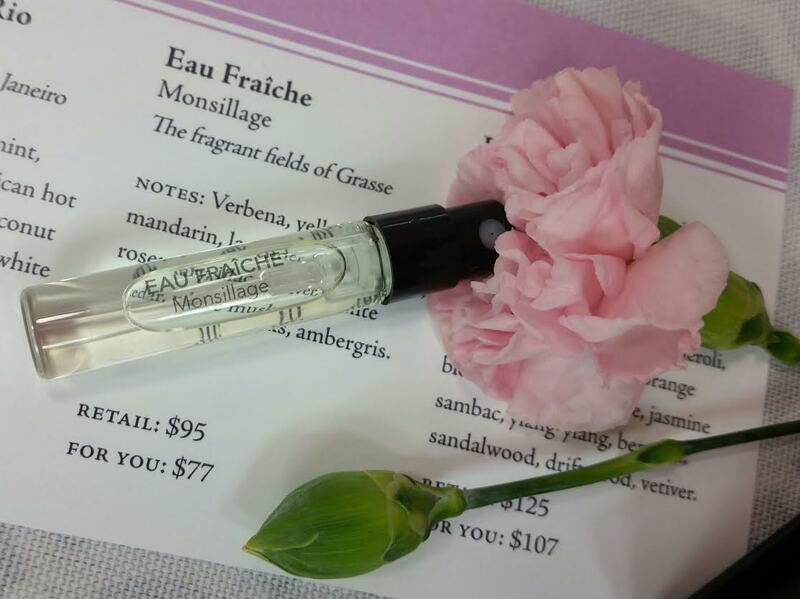 Eau Fraiche by Monsillage- Notes of verbena, yellow mandarin, lavender, white thyme, rosemary, lilac, vetiver, white cedar, white musks and ambergris. Due to my lavender allergy, I did not test this on myself. 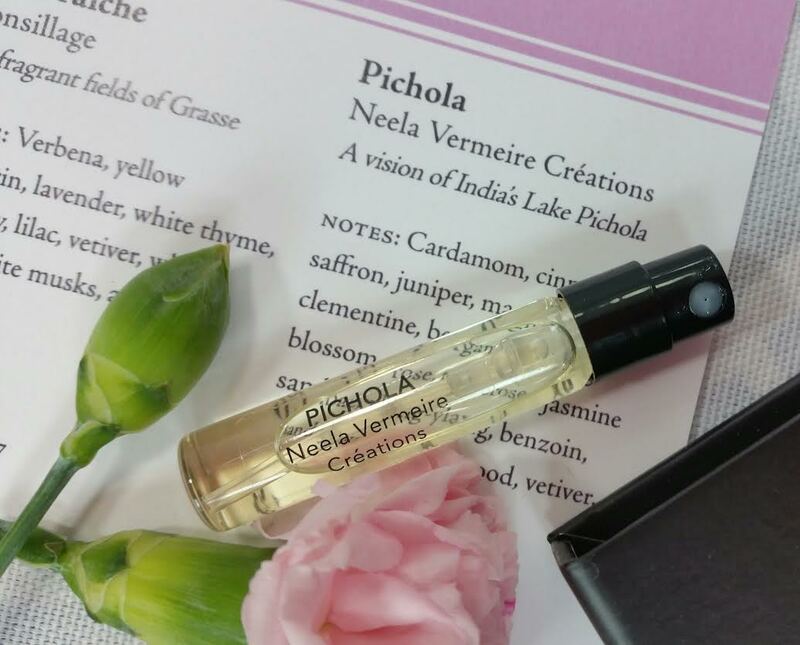 Pichola by Neela Vermeire Creations- I can't lie. On me, this smelled like bar soap you'd find next to grandma's sink. I was hoping for some spice with the cinnamon and cardamom listed as top notes but there was nothing there for me. Instead it's a rampant floral that leaves my throat scratchy. I have to wash it off. VERDICT: Still Life in Rio is definitely my favorite. Everything about it on my skin made me happy. The other two, not so much. 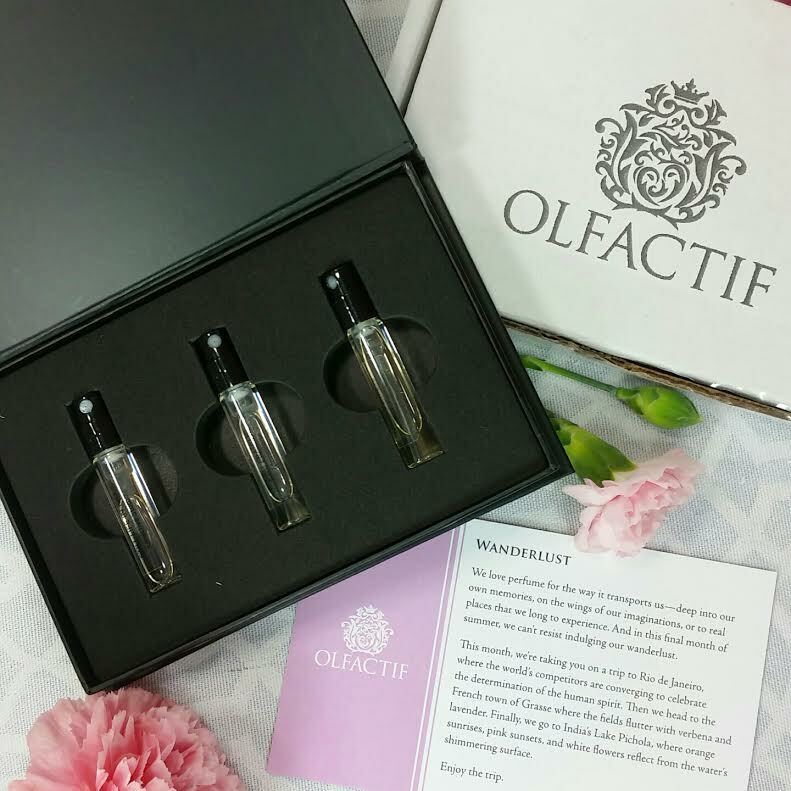 Olfactif does a great job at finding new, unusual and interesting fragrances. While I can't pretend to be a connoisseur, I do like finding new perfumes to enjoy. I find that I don't tend to purchase full size bottles since these are usually quite pricy. The Still Life in Rio is $195! However, I do get a lot of uses out of these small sample spritzers. It's surprising how long they can last. If you'd like to receive Olfactif samples every month, you can sign up here. Use code FRIEND3 to get your first box for just $3!! If you are a fragrance aficianado, you're going to love it! Don't forget if you decide to purchase a full size bottle of one of your monthly scents, you'll automatically receive $18 credit!